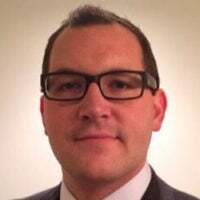 Jacob Paolillo is a member of the Young Leaders Program at The Heritage Foundation. 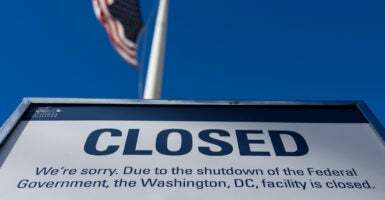 Over the past 40 years, the federal government has shut down 21 times due to political disagreements over funding. Most of America, including the government itself, goes largely unaffected by a government shutdown. But for federal workers who are furloughed or required to work without a paycheck, a lapse in government funding can cause financial problems, leading some to default on debt or miss rent payments. This can result in real hardships up to and including eviction. The blame for this rests squarely on the lawmakers who fail to fund the government. Remarkably, though, some Democrats in Congress believe that private citizens and businesses should bear the ill consequences of government shutdowns that put furloughed federal workers in financially precarious positions. Earlier this month, Sen. Brian Schatz, D-Hawaii, along with 30 Democratic co-sponsors, introduced the Federal Employees Civil Relief Act. This bill, if passed, would hold private citizens and businesses criminally liable for attempting to enforce certain debts against unpaid federal workers during a government shutdown. Specifically, it would make it a federal misdemeanor, punishable by up to one year in prison, for property owners, mortgage companies, and student loan servicers to enforce lease and loan obligations against federal workers without a court order if the federal workers are financially affected by a shutdown. This would essentially pass the buck of responsibility from Congress—who should be paying federal workers—to private citizens and businesses. Legislation like this, which criminalizes perfectly innocent conduct—such as collecting rent—raises serious concerns about Congress’ propensity to misuse and abuse the criminal law in an attempt to solve every problem in our society, as Heritage Foundation scholars have written and discussed elsewhere. Rather than devising sensible policies to fix the underlying issues, Congress puts a Band-Aid on the problem by passing new criminal laws, because that’s just easier to do. It is especially troubling that liberals in Congress want to criminalize private economic activity as a way to “solve” the problem—as though private individuals and creditors were to blame and not Congress. Consider who this bill would hurt. While many Americans can afford to relax payment obligations on furloughed workers—particularly if they have good credit and an established history of on-time payments—for many others, that is not an option. Imagine a young couple renting a basement apartment, who depend on their tenant’s monthly rent to make their own monthly mortgage payment. This bill offers them no protections—only the threat of criminal sanction if they cannot let their tenant rent for free while Congress indulges in political brinkmanship. In this sense, government shutdowns can have a ripple effect, and unpaid federal employees are just the first wave in the ripple. This bill would only protect those employees while leaving others on the outside exposed to the ripple effects of a shutdown. The Federal Employees Civil Relief Act hardly gets to the root of the problem. It would make private citizens and businesses pay the price of government shutdowns, while absolving Congress of accountability for its own failure to pass timely spending bills. In addition to passing the buck, this bill could create harmful unintended consequences for federal employees. Economists have shown that putting restrictions, such as rent controls, on landlords leads to lower quality and availability of housing. The reason? Landlords have fewer monetary incentives to keep their properties high quality. Should this bill become law, property owners might be reluctant to lease out rent space to federal workers, knowing that they might be left hanging dry with no rent payments during a government shutdown. Being unable to pay debts during a shutdown certainly presents a problem. In the most recent shutdown, federal workers owed $438 million in rent and mortgage payments. But the onus to solve that problem does not fall upon private citizens and businesses, and they should not pay the price for it. Funding the government is Congress’s job, and as the only branch of the federal government with the power of the purse, Congress must fund the government. The Federal Employees Civil Relief Act would take no steps to fix that problem. Instead, it would add yet another federal crime to the books, and it could backfire on private citizens, businesses, and federal employees alike. Rather than passing the blame, Congress needs to own up to its failure to function as a legislative body, and get serious about regularly funding the government.